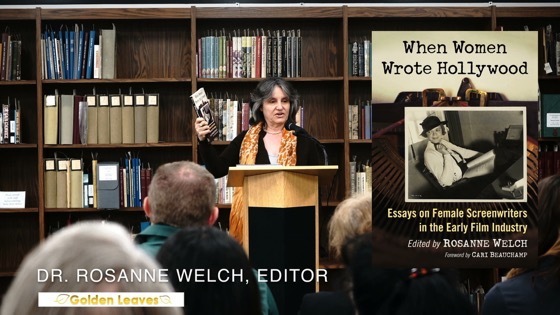 Dr. Rosanne Welch discusses the women in her new book “When Women Wrote Hollywood” which covers female screenwriters from the Silents through the early 1940s when women wrote over 50% of films and Frances Marion was the highest paid screenwriter (male or female) and the first to win 2 Oscars. Yet, she fails to appear in film history books, which continue to regurgitate the myth that male directors did it all – even though it’s been proven that the only profitable movies Cecil B. de Mille ever directed were all written by Jeannie Macpherson film ever won for Best Picture was written by Robert E. Sherwood (who people have heard of, mostly due to his connection to Dorothy Parker) and Joan Harrison. I’ve taken part in the Pollak Library Faculty Noon Time Talks for the last couple of years. 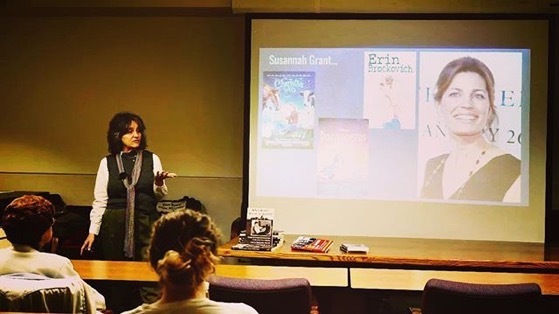 This year I had a great time delivering this lecture built around all the wonderful female screenwriters included in my book When Women Wrote Hollywood. Thanks to subject librarian John Hickok for organizing these events – and for the nice introduction. 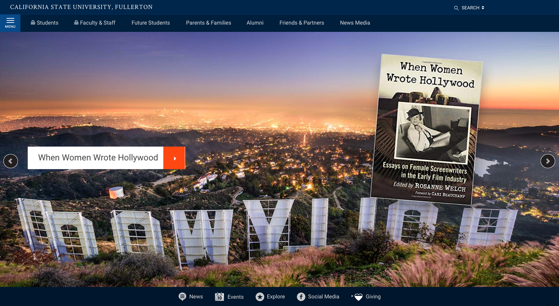 Part of the California State University, Fullerton Faculty Noon Time Talks at the Pollak Library. Golden Leaves Presentations 2019 at Cal Poly Pomona University Library. 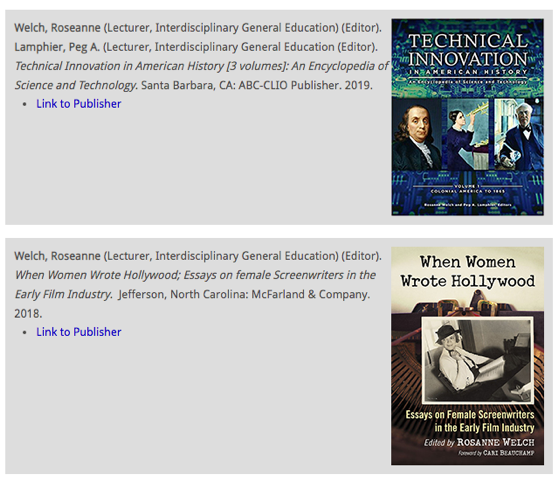 Dr. Rosanne Welch speaks on her 2 new books for the 2018-2019 season, “Technical Innovation in American History; An Encyclopedia of Science and Technology” and “When Women Wrote Hollywood”. 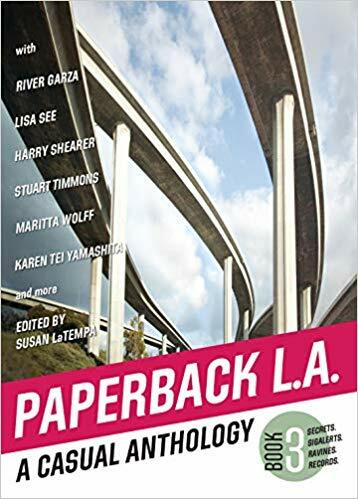 Since 1986, the Golden Leaves program has celebrated those members of the Cal Poly Pomona campus community (faculty, staff, students, alumni, and retirees) who have authored or edited a book* in the preceding year. The Golden Leaves program is funded by the University Library. 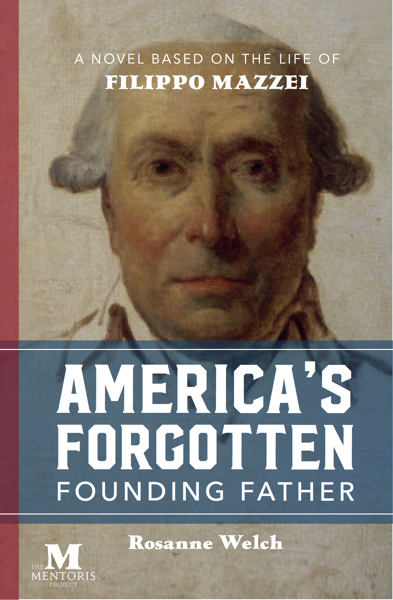 Each year, books published by Cal Poly Pomona authors are on display in the Library during the month of April. The Golden Leaves program is celebrated annually at the University Library in conjunction with National Library Week. 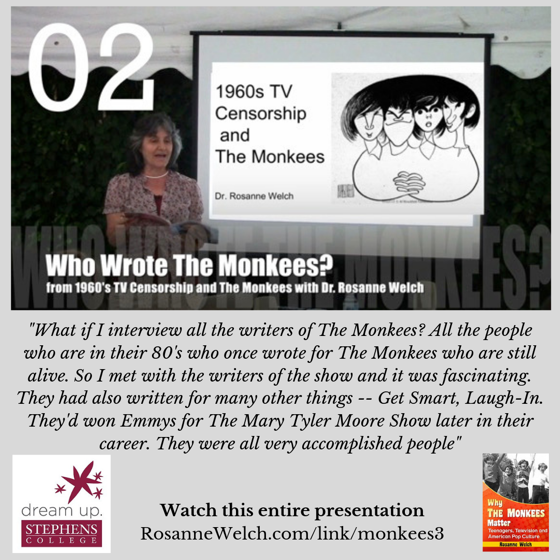 “What if I interview all the writers of The Monkees? 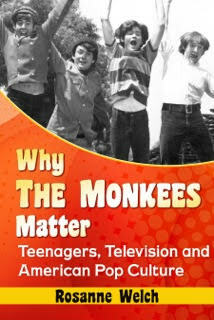 All the people who are in their 80’s who once wrote for The Monkees who are still alive. So I met with the writers of the show and it was fascinating. 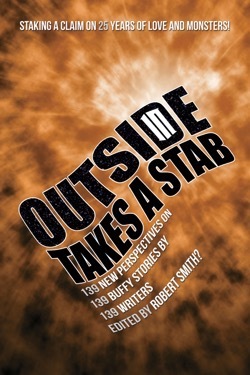 They had also written for many other things — Get Smart, Laugh-In. They’d won Emmys for The Mary Tyler Moore Show later in their career. They were all very accomplished people. 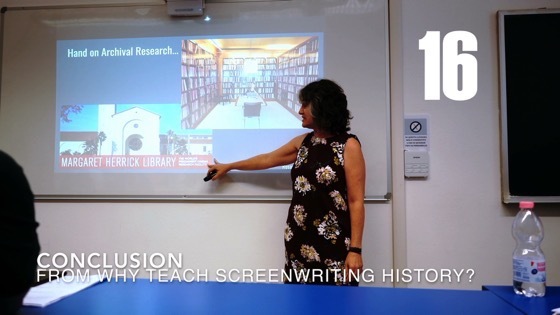 A clip from my presentation at the 11th Annual Screenwriting Research Network conference. Held on the campus of the beautiful Università Cattolica del Sacro Cuore in Milan. In the presentation, I covered the reasons writers have been marginalized – and the reasons they oughtn’t to be so disrespected. Then I talked about how my course works, what books I assign, what guest speakers I invite, what research the students do – and ended on a high note by introducing ‘When Women Wrote Hollywood’ – the book of essays from our inaugural class which has now been published by McFarland. Luckily we’re in Los Angeles, so we do the research hands-on of the Margaret Herrick Library. These are in the database the screen archivist has created so that you can find the digital things for your own students and much is being scanned and put online for us these days. This is the Writers Guild of America. 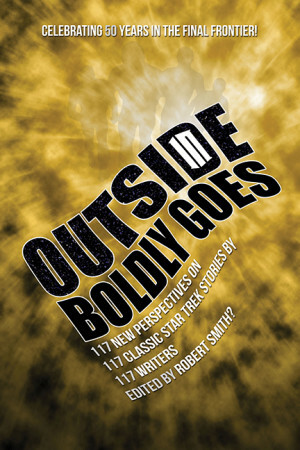 We have an archive as well of original scripts which is a great test to bring students to read. We don’t have enough writers who give their stuff to the Guild. They give it to the Herrick because that’s fancier and more cool. So we’re trying to give their own personal correspondence to the Writers Guild. Anyway, All of this and my first couple of years led me to realize that when I had started having them do essays — research essays — 20-page research papers, they were all so good in the first year the students were so excited by what they were discovering that I wrote my publisher — emailed my publisher — and said I have twenty really good essays on early women’s screenwriters in Hollywood from Dorothy Parker to Frances Hackett to Ruth Gordon and would you want to publish them? 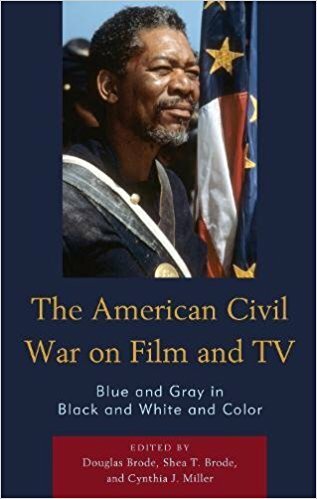 And they said “Yes” and so I was able to give my students their first publications through this course and one of them is here Jackie Perez has an essay in the book. She’s come to the conference for the first time. So this was an amazing thing for me to be able to create through the use of these students. This is that first class who are all published in that book. Even though we’re a women’s college in higher learning you have to accept men so there three men in that class also represented in the book. Men have become interested in our mission which is to provide more female-focused stories and more female writers into the business so it was a really good class. We love them all and that’s what I have to say. 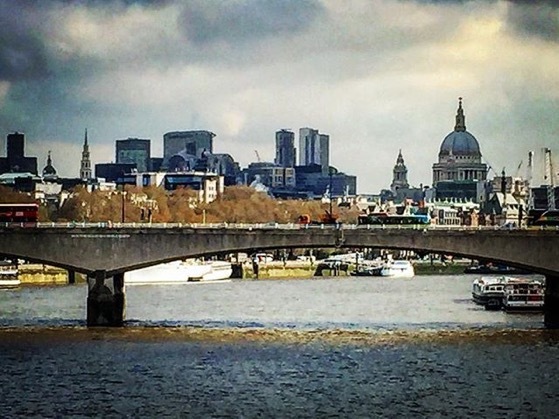 What are your favorite sights in London? Add them to the comments below! 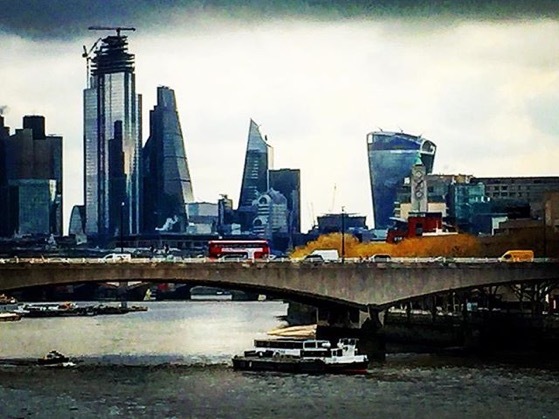 Off to London today with my Oxford Brookes University students for a film research trip. Gathering resources for my own paper and book, too! They also all do a research paper — as anyone should do in a master’s class. A gain through the network I’ve been able to provide them with books they can think about. Nunnally’s there. Emma’s there because of female screenwriters. That’s a lovely book –where she has the script and then she discusses filming and being on set as a writer and how difficult it was to do both and and of course it’s one of the movies I have them watch, so that’s lovely. There’s a million books they can use. These are some examples. I like, while it’s John Gregory Dunn’s book, it’s the story of he and his wife Joan Didion, who were creating a film for Disney and this is the entire eight years it took them from the day they were offered the job until the day the movie was made and how — the difficulty. So to teach students the process and how hard the process is I think is very important. So that’s very handy book. It’s also very thin. So students like to read it. They also are the writers of the third — the second remake of “A Star IS Born.” The one with Kris Kristofferson and Barbra Streisand. So interesting to hear their perspective before the new Lady GaGa version comes out. 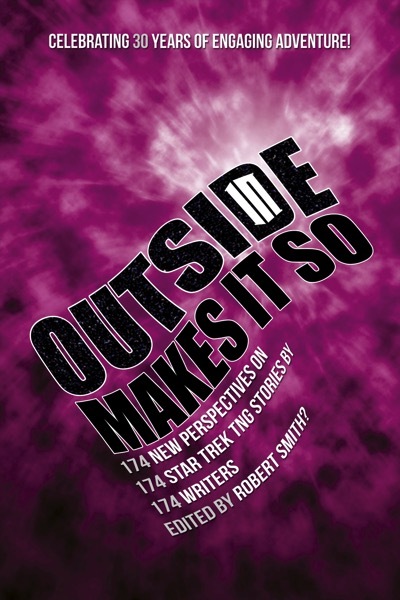 I’m off to the UK once more to spend a week teaching Screenwriting to the students of Oxford Brookes University. 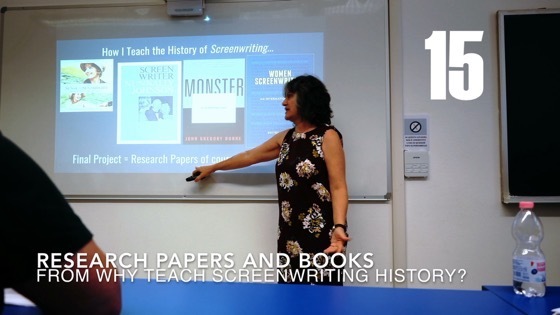 This is part of an exchange program between Oxford Brookes University and the Stephens College MFA in TV and Screenwriting. Paolo Russo, Senior Lecturer in Film Studies, has twice spent a week as a guest lecturer here in Los Angeles and now I get a chance to spend a week with his students. This Master Class is just one part of my activities there. I’ll be working closely with his screenwriting students individually and also get a chance to visit some important research locations like the Bodleian Library. 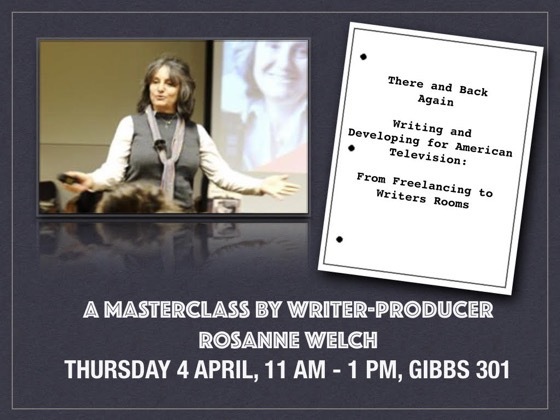 The focus of Rosanne’s master class will be American television, but her insights will be useful for anyone interested in breaking into the industry either side of the pond. Rosanne will talk for about one hour + a 30-minute Q&A. 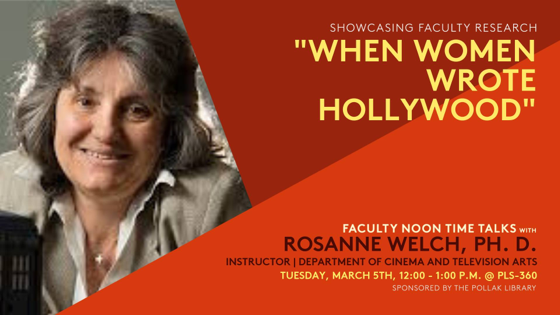 ROSANNE WELCH has written/produced for television (“Touched by an Angel”, “Picket Fences”, “Beverly Hills 90210”), teaches on the MFA Writing for Television at Stephens College and at California State University-Fullerton in Los Angeles. 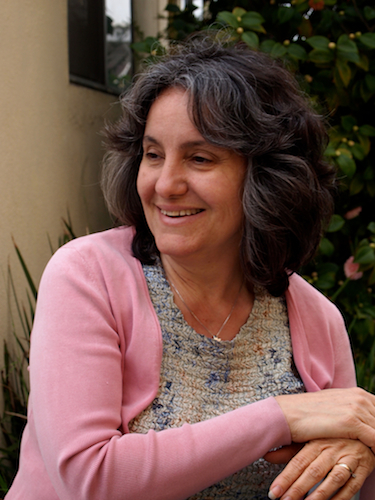 She serves as editor for the Journal of Screenwriting and on the Editorial Advisory Board for Written By, the magazine of the Writers Guild of America. 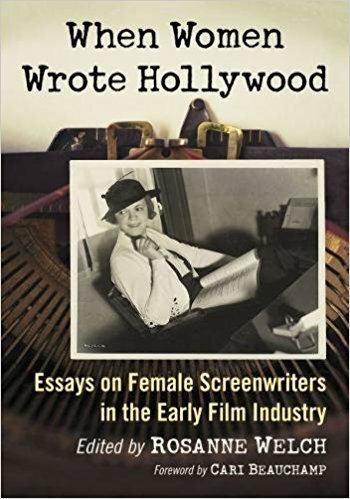 Her most recent publication is “When Women Wrote Hollywood: Essays on Female Screenwriters in the Early Film Industry” (MacFarland, 2018). Attendance to this master class is mandatory for my Screenwriting students, but everyone else is welcome until we fill up the room.